I am a board-certified anesthesiologist with specialty training in cardiothoracic anesthesia and critical care medicine. I specialize in providing anesthetic care for people undergoing surgical procedures for all forms of cancer located within the chest cavity. 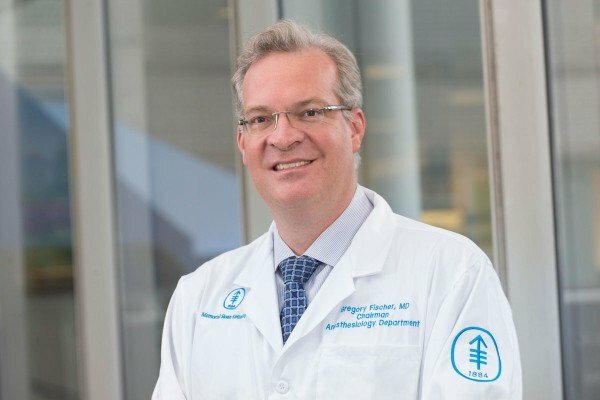 In addition to my clinical responsibilities, I serve as Chair of the Department of Anesthesiology & Critical Care Medicine, overseeing all aspects of perioperative medicine at Memorial Sloan Kettering Cancer Center throughout our patients’ care. Our team conducts an initial visit at our preoperative clinic, during which they assess patients’ medical condition and devise a tailored anesthetic plan. During surgery, we offer compassionate and astute intraoperative care. And throughout the postoperative recovery period, we provide superb medical management and pain relief. My academic interests include intraoperative ultrasound imaging of the heart and other organs in the chest, noninvasive monitoring of brain oxygen levels during surgical procedures (cerebral oximetry), and utilizing large databases to answer perioperative medical management questions. I have been an invited lecturer and visiting professor at many of the finest departments of anesthesiology in the United States and abroad. Over the course of my career I have delivered approximately 150 lectures, co-authored 70 peer-reviewed publications, written numerous book chapters on topics related to anesthesiology and critical care medicine, and served as co-editor of a textbook on perioperative transesophageal echocardiography. I am also involved in education and training of future anesthesiologists both at MSK as well as at regional and national academic society meetings.